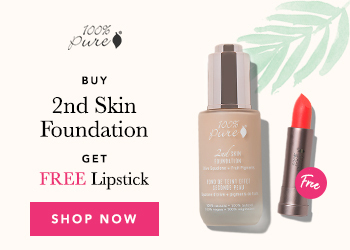 Chemical FREE 100% PURE Makeup On SALE! We cannot stop Cancer if we continue to use chemicals on our bodies. You are 100% safe when you use the Organic Body Scrubs, Fruit Dyed Makeup or Hair, Baby or Nail products from 100% PURE! You will be able to give your skin its maximum benefits. Jam-packed with antioxidants and void of ANY CHEMICALS! No artificial fragrances, no preservatives, no alcohol or any other toxins. The best feature is the scrubs work immediately to make your skin soft, smooth and supple. Check out my favorite Coconut Body Scrub! I also love to use Eucalyptus Body Scrub in the months we go back to school! 25% off Everything for friends, patients and family! Just click here and try out these organic products today!